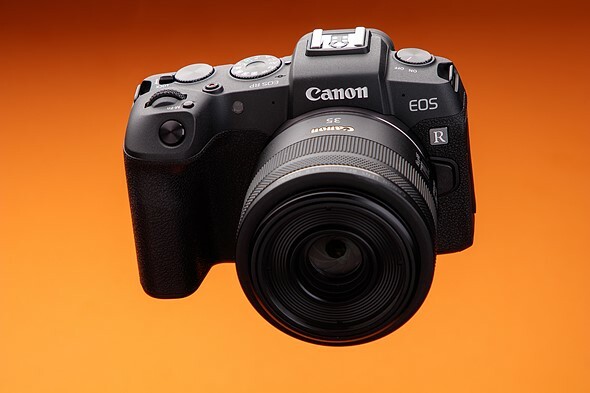 The Canon EOS RP is among the smallest and lightest full-frame cameras on the market, and is the least expensive full-frame camera at launch, ever. And though its specifications aren't going to set the world on fire, the RP is a likable little camera with solid JPEG image quality that will be a fine photographic companion for casual users and those already within the Canon ecosystem looking for a compact second body. Accounting for inflation, the EOS RP (body-only) is priced within $75 of the original 6MP Canon Digital Rebel / EOS 300D that was released back in 2003 - a camera that really helped bring large-sensor digital photography to the masses. And like the Digital Rebel, the EOS RP promises to offer a bit of a stripped-down shooting experience in exchange for its large full-frame image sensor at a reasonable cost. It's worth noting, however, that the earlier Rebel debuted with a range of relatively low-cost lenses designed for it - not so much the case today. 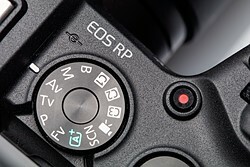 While other manufacturers are moving ever further up-market with more expensive and capable devices, the EOS RP stands alone in providing more novice or budget-constrained users with access to the shallower depth-of-field that full frame cameras offer over those with APS-C or smaller sensors. There are caveats, though, in that the RP is a poor choice for those looking to shoot video, and the native lens selection is lacking at this time. The EOS RP is available now at a price of $1299 body-only, $1999 with the EF adapter and a 24-105mm F3.5-5.6 lens, and $2399 with the native RF 24-105mm F4L lens. The EOS RP has a lot of ingredients we've seen in other Canon cameras before, but certainly not at this price point. 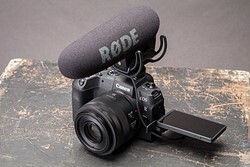 The EOS RP's diminutive size and light weight don't get in the way of some well thought-out controls. Take a look at how the RP stacks up in our standard studio test scene. Get a sense for how Richard Butler got along with the EOS RP, and how sometimes, likability may trump capability. Is the EOS RP right for you? We take a look at some common photographic use-cases and see how well the EOS RP is suited for them. We take a look at tracking performance, pupil detection and more on the EOS RP. The EOS RP shoots both 4K and 1080p footage, but the quality of its video capture is somewhat lacking. 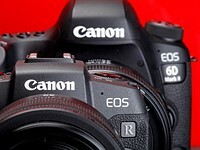 Want the full list of specifications for the EOS RP? We have you covered. 5 Is the EOS RP right for you? 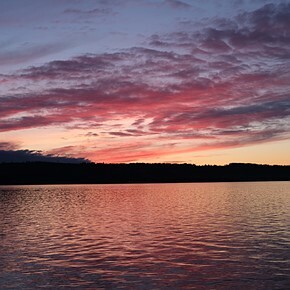 The ultimate value of a camera is the quality of its image output. In that regard, this camera fails. Look on the bright side folks. It scores above the Rebel in almost every category. Hello! Please correct the review! 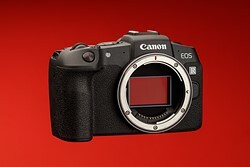 I read an interview with Canon engineers and thay says that the EOS-RP has the same weather-sealing of the EOS-6D MkII. "USB-C port only offers USB 2.0 transfer speeds". Really? They give it UHS-II support and RAW shooting (admittedly not the fastest in the world, but respectable) with no buffer limit, and then they cheap out on the transfer? Dislike. No point in comparing the RP to the 6DII at ISO 3200 and say they have identical noise performance. The RP uses a 50mm lens at f5.6, whereas the 6D uses an 85mm at f5.6 (same with FF Sony's). The 6D and the Sony's are letting in 1 stop more light. When you compare them in equal conditions (RP and Nikon Z6/Z7 at 3200, and FF Sony's and FF DSLRs at 6400)*, you see that the RP is better than the DSLRs and the Sony's, and is only surparssed by the Z6. 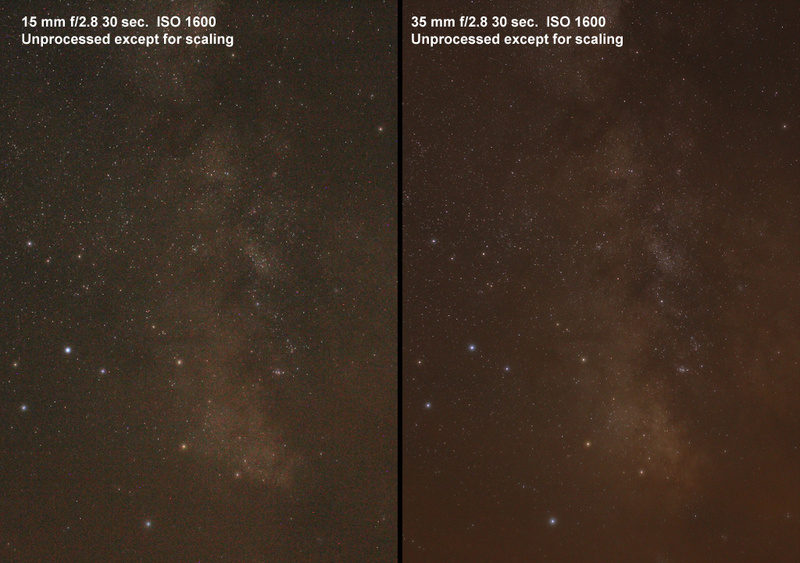 Even when you compare the RP to the Phase One in equal conditions (ISO 6400), you can see the the PhaseOne is inferior in noise performance and how good the Canon sensor is in that respect. *At the same aperture, 85mm lenses are about 1 stop faster than 50mm lenses and 2-3 stops faster than 35mm lenses. To make a fair comparison between 50mm and 85mm, you have to use a 1 stop shorter(faster) exposure time(shutter speed). In other words, 85mm at f5.6, 1/2500 s and ISO6400, and 50mm at 5.6, 1/1250 s and ISO32000 (the DPReview settings). What? You realize the RP has an FF sensor, right? "*At the same aperture, 85mm lenses are about 1 stop faster than 50mm lenses and 2-3 stops faster than 35mm lenses." PS. Lenses matter more than sensor size. The f-number is in use to express how much light a lens can capture, for example the 85mm f/1.8 and 24mm f/1.8 can capture the same amount. What you have to consider here is that the 85mm lens has a much narrower field of view, therefore it has to gather the same amount of light from a much smaller area - to compensate the narrow view, aperture has to be bigger. How much the aperture has to be bigger is linearly correlated to focal length. We could say that a 24mm lens with 13.3mm aperture can gather as much light as a 85mm lens with 47.2mm aperture, but talking about the F-number makes this much easier to notice. Ohh and almost forget, the f-number is not focal lenght/aperture diameter as you say, f-number is focal lenght/diameter of the entrance pupil. Entrance pupil is the visible diameter of the aperture trough the lens front element. Actually, at 85mm f2.0 (true circle aperture) the aperture will have 2.89x as much area as 50mm f2.0. Even more than the 2x you estimated, actually. Here's the thing though. Yes, the 85mm at the same f-stop as a 50mm (in this case f2.0) WILL gather more light... but only for the area within the 85mm's FOV. It gathers NO light from surrounding areas outside of the 85mm's image circle which the 50mm would be collecting in addition to the 50mm's capture of the area inside the 85mm's FOV. So, the 85mm fills the whole frame with light ONLY collected from the narrower FOV, whereas the 50mm fills the frame with light collected from a wider FOV. Both lenses at the same f-stop fill the frame with the same total amount of light (provided perfect uniformity across the entire 50mm scene (i.e. a white wall)). It's just that the wider lens gets to pull light from a larger area, whereas the longer lens pulls its light from a smaller area. The 1st image has this settings: ISO 3200, 1/200s, 50mm f/2; the 2nd image: ISO 3200, 1/200s, 200mm f/4. Same camera, same processing. If what you say is true, the 2nd image should have more noise because (you claim) it is 2 stops slower. If what I say is true, the first image should have more noise because its area is 4 times smaller (2 stops lower). Someone else did this experiment, and it proves that what matters in image quality is the pupil of the lens and not the f-number, but you can make the experiment yourself. Yes, I know it is not exactly 2x. It is about 1 1/3 stop, I was just rounding to 1 stop. If we wanted to be precise, we would have to specify if the sensor is BSI or not, old or new, the lens T, pixel size, actual focal length (82.2 vs 85), etc. But pointing out those things in a forum like this doesn't make this discussion better. I just wonder if I might be wrong and you two right, so I made a little test. Took my camera and zoom lens and shot at different focal lengths with the same settings: ISO 6400, 1/100s, f/8. Guess what? The longer focal length (105mm) had much less noise. Did you shoot a perfectly even scene; like a 1-color wall? Because then you should have identical results, assuming there is no variance in your zoom lens, and "f8" really truly is f8 everytime it says so. Also, remember that aperture values are only true at infinity focus, so make sure your subject is quite far away. I didn't shoot an evenly-lit white wall at infinity. What's the point of that? Price is wrong. For $999, it would be a no-brainer for many. At $999 the comments would have been: "Price is wrong. For $799, it would be a no-brainer for many." Nah. Only you would say that. My vote for Loser Camera Of The Year is the Sony a6400. Because on paper it looks like a sports monster, but in-hand begs to be thrown in the trash. But even more so because Sony fanb0ys are going to litter all of DPR with "but the a6400 does this and that so the camera you're talking about is crap." Yup, so far my 2019 LCOTY Award goes to the Sony a6400. Depends who’s using the camera. Many photographers shooting this Canon camera would make you look like a total loser regardless of the camera you were using. Your comment suggests you are pretty well on your way, if not already there. Man this thing is done already and still no A6400 review? Sounds like a decent enough camera for beginners. What makes you think a professional photographer could not make a living with this camera? You want a list? Read the review. Using such cameras is unprofessional by definition. Because then you are taking unnecessary risks. so they are not professional cameras because they are unprofessional lol ok. This is a hack comment. Many professionals don’t need a camera that is a full spec sheet or designated “pro”. They need a camera with a decent sensor that they can attached to good glass to. The rest is skill. Considering some of the highest paid professionals shoot with far lesser cameras or are even still shooting film only points out your shallow view point. And yet you have to use more than just one film camera to have some sort of redundancy. IF you are a professional. Professionals can shoot non-professionally as well and they can use whatever they want. By professionals I mean people hired to document something using a camera (like an event). There are plenty of professional photography jobs where you don't need serious professional tools or even skills (like a simple studio work). But when your are "out in the field", you need your camera to perform adequately. Consumer cameras are not meant to handle this kind of workloads or weather. Believe it or not, but film cameras can actually be tougher in this regard. Anyone can make money as a "cheap photographer" these days. But your tools of choice and your ability to fully utilize them (your skills) define the level of your professionalism. Not vice versa. 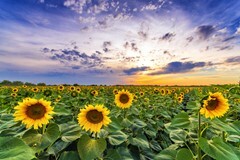 Consumer camera doesn't turn into a professional tool just because you think that you are a big pro. Todays consumer cameras can be used to get professional results all day long. You can own 2-3 consumer bodies for the price of 1 pro body. If budget is an issue or business requirement; it is far more professional to have multiple cameras than 1 pro body and no back up. Whilst pro bodies are generally more reliable they do fail. The chances of two of these cameras failing “out in the field” is highly unlikely regardless if they are consumer grade. Michael Christopher Brown is an example of using a consumer camera to document the war in Libya on the most consumer of cameras - an iPhone - for Magnum photo agency no less. Well, it is possible to fix teeth with 19th century tools. I don't care about other people's low expectations and asceticism. I'm into high definition photography. You can live in a cave and draw pictures on the walls with a rock, if you like it. But if you bring all 3 of your consumer cameras into humid, hot, cold, "unfriendly" environment, they can all fail simultaneously. And then what? You can't win this. You have to have the right tool for the job (and sometimes it can be your phone). Try digging some information about really unfortunate memory card and camera failures. You'll be surprised. I can cross the road on red light, unharmed. But it doesn't mean that it's safe or that everyone should do it. Well to be honest you seem way to overly cautious to be putting yourself in any situation that would place yourself in any danger let alone a camera. As for high definition photography most ff cameras are weather sealed. And so is the RP. I shoot high definition photography in the form of MF and they are not weather sealed. As for low expectations this is magnum- it’s one of the highest regarded photo agencies today. They don’t do low expectations and you certainly won’t be receiving a nomination to join anytime soon. These images have been produced into a gorgeous photo book. And it’s quality. “I can cross a road on red light unharmed doesn’t mean it’s safe” Lol - well you better stay out of Libya, Syria etc.. . Not sure if you have even let a camera get wet (they are tougher than you think) let alone step foot into a real situation that would test the limits of any camera. Your argument is an oxymoron. You lost this argument before it started. At the end of the day if you have talent but are low on funds and do find yourself needing to shoot warfare in a tropical jungle. You can get a silicon body wrap for pretty much any camera going these days. This a a couple of silicon lens sealers and your good to shoot in anything. All for about $30 on eBay. Ugly yes. But it will do the job. I shoot pro sealed bodies but your argument is the tech equivalent of hypochondria. I'm not against "cheap" photographers. I just don't call them professional photographers. In many cases it is even hard to call an artist with a pro camera a professional, because he can barely utilize the tool and lacks basic knowledge. Pure talent without skills and professionalism is called dilettantism. You don't need to go to the North Pole to kill your camera. In reality, a few serious splashes of water (liquid) can damage a semi-pro class of camera like 5D series. Just like the constant air humidity in some parts of the world kills the consumer level cameras rather easily. I'm being very careful with my cameras. But you can't "babysit" tools you use to get the job done. It would be counterproductive. And you are wrong about weather sealing. Most cameras are not weather sealed. Read the manual. You can always buy an older/used professional camera model if you don't have much money. But then you are not really a professional if you have no money for proper tools. A similar argument to yours would be that most people are astronauts, only they don't have money for spaceships, so they ride trains and buses instead. Now you are just talking absolute rubbish. The definition of a professional is getting paid for ones work. The highest paid photographers don’t use the most expensive cameras they use what best gets them the results that defines their style or approach. It’s what seperate them from the rest. Terry Richardson one of the highest paid fashion photographers today developed his style using compact 35mm film cameras he also uses consumer lumix camera to achieve his particular style. His net worth is 8 million dollars all achieved with cameras that set him back a few hundred $. As for your view on Art photographers- actually you’ll find that many are at the pinnacle of technical output. Andreas Gursky and Jeff Wall are highly technical and are purely art photographers. They are also highly professional. Sorry but you don’t seem to even grasp your own arguments let alone mine and they are full of contradiction. You are way out of your depth here. But keep digging. Ohh ... don't tell me that charlatans and dilettantes are never getting paid. But if you can't make enough money to get proper tools, then you are definitely not a professional. Get over it. "Andreas Gursky and Jeff Wall are highly technical and are purely art photographers. They are also highly professional." - Art is very subjective. There's plenty of "art" and artists that nobody knows or cares about. Some just get lucky. And it doesn't matter if your camera breaks while you are doing art, nobody's going to notice. Because that's not a job. There's a difference, just like between a farmer and a homeless person. Both need to get food somehow. One is growing it, while the other one is searching for it or even stealing from the farmer. That's all. No magic. Sometimes homeless people get lucky and find golden nuggets or something. But it's not a profession. I don't make money out of photography. But I'm getting better results with my setup, than most professionals offer. Because most clients are not as hungry for image quality as I am :). So, nobody bothers to over-deliver. There's no hypocrisy in my argument. I would never use my 6D to make make money professionally or call myself a professional if I'd make some money. That's not how it works. Well as someone who makes a good living from photography, I’m telling you that tools are secondary to your ability to get results. The unprofessional blame their tools. I know well paid commercial photographers that make a great living shooting 6Ds or D750’s (they use pro lenses) however, the sensors are as good as a $6000 D5 that they can easily afford - but professionals don’t waste money on features they don’t need. Being professional has nothing to do with the camera or perceptions a camera gives. it is about getting results. Knowing what you are talking and how you hold yourself is professional. Understanding budgets and operating a profitable business is another means of being professional. Nobody bothers to over deliver” very unprofessional view. You always make your best work, especially if starting out. This is simply because it has your name on it and as a professional you value your reputation above all. Your general outlook and folio have a long way to go. Good luck. "Secondary" doesn't mean that they matter the least. It is one of the most important things really. Like second from the top :). The unprofessional use lousy tools, so that they have something to blame. You seem to realize what it takes to be a professional and what makes one a true professional. But then you are ready to put all that at risk by using a whatever/inadequate tool? That's crazy. There are plenty of professionals who learned their lessons the hard way. And there are plenty of those who refuse to believe that it might happen to them, until it does. And then their stubbornness melts really fast. Good luck. Despite the Naysayers the Canon RP is not a lousy camera. There are not really any “lousy” cameras available today period. A professional will be just that and be prepared with a second body and what ever is required to get the job done. Put it this way. Who would you rather have photographing you important event or story? A professional who has worked extensively for years and has mastered their craft but is using a couple of 6d’s with entry level primes. Or your rich uncle Bob who had a couple of photography lessons and just bought a D850 with professional glass? I know who I’d be choosing. Hell I’d choose the pro over uncle bob even if the seasoned pro was using a couple of second hand Canon rebels fitted with kit lenses. "Not a lousy camera" - Compared to what? I was talking about lousy unprofessional tools. You are attacking a straw man now. Uncle Bob doesn't qualify as a pro. And what will you do when a card with half of the data from that single slot 6D dies? "Hell I’d choose the pro over uncle bob even if the seasoned pro was using a couple of second hand Canon rebels fitted with kit lenses." Poor uncle Bob. He's nephew is an artsy extremist. And that guy probably uses some cheap Chinese fake knock-off cards too. Someone with a couple of second hand Rebels and kit lenses isn't a pro either. Where did you get this nonsensical idea that a pro always has to be a cheap-@$$? Reality is exactly the opposite - uncle Bob uses the 6D and a pro uses D850's (possibly second hand). @LookintotheMirrorlessoften ummmm 1fps? what? Look, you want to hold the shutter button tape it to your body and capture the world in perfect 95% hit rate at 11fps? I can show you a 7000 dollar camera that will serve your GAS just fine. Says who? If you don’t need it, fine. But some people need as many fos to get a perfect moment. I agree. But there will be no end to that. Soon we will be snagging 16mp frames from a video stream and people will say you cant be a professional without a camera that does that,,,,and 11fps is obsolete. The biggest trick camera companies ever played on us is to release a camera and the immediately convince us that we should be dissatisfied with it 2-3 years later. Lol, OMFG! The a6400 does 11fps!? Haha! Hahaha! BWAAAHAAAHAAAHAAA! Yeah, because the a6400 is the pro sports photographers' gear of choice! Haha! Hahaha! Nah, just kidding. Everybody knows that every photographer needs 11fps. BWAAAHAAAHAAAHAAA! War in Libya 2011 - Shot on iPhone for Magnum photo agency. The OP clearly means old as in an older design not developed as native for the RF mount and therefore not optimised for it. Not accurate. The RF24-105/4 is a great option for the RP. Optical quality can’t be beat and the Ring function adds flexibility to the RP. Staying with an RF lens you also get the MF guide on the LCD/EVF if you ever need manual focusing (something I needed, but did not have, 2 days ago). 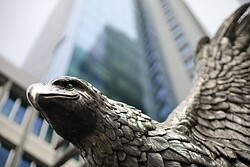 If someone prefers a zoom, the RF35/1.8 Macro, is great as well. I just got back from a 4 day trip at a National Park and the only lens I used was my PL12-60 (which gives me the 24-120mm FOV). Canon has that lens covered for me. To say there is almost no lenses available is just not correct. With the EF-RF adapter the sky’s the limit and a very large number of EF compatible glass are great optically too. Why would you put an f4 lens in something with an already terrible sensor.. The a7 is a dog; poor color technology, very poor ergonomics, slow AF, nothing redeeming about it. Only on paper can one say it looks good. I guarantee you that if you give someone an RP and a7 to shoot, they will choose the RP because it will be a far better experience using it. lol at that poor color thing. Are you shooting jpeg only? I always found canons raw incredible bad for editing... especially with that dynamic range of the 6d sensor. I get what the OP is saying, but as someone who owned EF glass and moved to the RP, believe me, you won't notice much a difference. That said, the 24-105 is FANTASTIC!! So much lighter than the EF version and much sharper. I'm saving up for it and it will probably be my first native RF mount lens. @thoughts your opinion is not a fact. You are right @ZapperDK, I hoped that the RF 15-35 2.8 and RF 70-200 2.8 would be available 1 or 2 month after the RP release ! Lol, the a7 is 🐕💩! The A7 MK1 I personally have and like very much is great entry into FF photography. Especially with old manual lenses and Canon EF through adapter. A7 MK1 with EF 85 1.8 USM is great budget portrait combo. With 24-105 F4 L USM - great walk-around combo. The control scheme is actually very good on A7 with 3 wheels assigned to your liking ( I personally have them set to aperture, SS and ISO respectively) and dedicated exp. compensation wheel. Raws are good enough for most amateurs and enthusiasts like me. I like the comment "fun to use" which I totally agree. In photography, we must enjoy the process of doing it not what a particular camera lacks or have. The end result of getting the photo of that decisive moment of a certain situation is probably more important than whichever brand one use. I always judge a photo by the content or story it carry, not from what camera it was shot wirh. The RP is very much an easy camera to use. So, the user would probably have more chances of capturing the decisive moments without much hassle. That is all it matters. 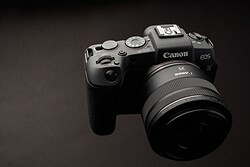 Obviously, if you can afford the higher price, go for the EOS-R which has a lot of better features and a bigger battery. In the hand of an experience photographer both cameras can deliver the result. 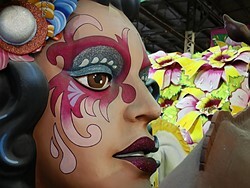 I used a variety of cameras and often an Oly TG4 is all one need to capture the fleeting moment or expression. Yes, too often we get bogged down in tech specs and talk but in reality it is the experience of using it that counts, unless you are a pro and then other factors of output come into play. One reason why smartphones are totally dominating the market is that they offer the far better user experience for most. Yes, too often we get bogged down in brand loyalty and talk but in reality it is the experience of using it that counts but that is highly subjective and the more objective approach is IQ, Dr and other measurable facts. Canonists obviously don't want to look at these things and we have these ridiculous color science and handling arguments that are so 1990's. Uh, "handling arguments" aren't "so 1990s." Ergonomics and AF prowess are THE biggest determinants for whether you get the shot or not. And that matters WAY more than hair-splitting differences between sensor characteristics. I would rather shoot a 6DM2 over ANY mirrorless (and i say that as a Nikon shooter who also owns a 7RM2). Because the 6DM2 will simply get the shot more often than any mirrorless. Yeah, I'm including the drastically overrated a9. Regarding "Canon color", that's always been 🐴💩 to me. I post-process so i make my own color. I’ve been a Sony mirrorless user since the NEX-6. I viewed that as a nice toy to which I could adapt my Leica M mounts - I still shot Nikon for business. Since then, I moved to the A7, A7II and A7III. 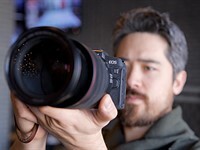 The RP is not in the same league as the A7III but for those who have a lot of Canon lenses and don’t need the A7III features it’s a very credible camera. Hi there, I think the biggest concern is the price. The RP is a fine camera, unfortunately, in my opinion, Canon is trying to squeeze premium money out of it. Why Canon user would want to spend this much today on yesterday technology? Sony users (trolls, not normal ones) are unreasonable to all brands, but especially against Canon. that is because most of these Sony users "trolls" are frustrated Canon users, who went through the pain of switching system and still feel the pain every time Canon reminds us of their corporate marketing strategy as "the king of crippling" for each new camera iteration. @armandino: That's quite an excuse for Sony trolling. If these Sony users were so happy with Sony they wouldn't feel this "pain" from their old brand and just be enjoying their new brand. It's like if someone divorced their first wife and remarried, but then spent all of their time obsessing over their first wife and her faults. If someone left Canon for Sony, then fine...but move on. Geesh. It's not that hard. It's a camera. "yesterdays technology is not meaningfully different than todays technology". That is true for some, yet, it is good justification for paying like today's technology because yesterday technology is much cheaper. "It's like if someone divorced their first wife and remarried". Nope, is not "spent all of their time obsessing over their first wife and her faults". The hopes are that Canon is going to make a change and just like they had the guts to switch system rather than complying passively or even justifying Canon marketing strategies, they are vocal in calling them out. If Canon was to change, many would go back and that would be the hope. Some of as are vocal because we hope for a change. Joke aside, your condescending tone shows that you are pretty unaware how far ahead Sony is moving. You clearly have no idea of what an A9 especially with current firmware is capable of, with native glass and even with Canon glass. What’s faith got to do with it? As for the A9 I have tried it and didn’t like it. A camera is more than the sum of its parts. For all the A9 specs it’s haptics and ergonomics are sorely lacking vs the competition and the build is subpar vs the competition also. I would not take this camera to a sports match let alone a war zone . Sorry but the A9 does not replace the the D5 or 1Dx for fast paced action and this is simply because the EVF does not match a high quality OVF - this is single biggest factor as to why the large majority of sports shooters still prefer DSLRs and will do so for the foreseeable future. Regardless if EVFs do get there, they are not there yet and won’t be for some time. Sony still has a lot of work to do regarding the overall handling and build quality of their cameras and they totally miss the mark vs DSLRs. your comments and opinion lead me to a single simple conclusion: you are unable to adapt to something you are not used to or interested in, yet you feel entitled to generalize your personal subjective preference. " I have tried it and didn’t like it" tells exactly that. Similarly "and this is simply because the EVF does not match a high quality OVF" another false myth, especially when talking about the A9 blackout-less EVF. A9 is by no means perfect and there are extreme situations in which indeed a 1DX or the D5 might be more suitable, but for the majority of applications what the A9 lets you do is far past what any camera is capable out there today. I am not here anyway to convince you or argue with you, as you seem to lack any form of mental flexibility to grasp simple facts that deviate from your own mindset. Btw I shot for a long time with Canon pro bodies and I still have a 1DX collecting dust on the shelf. Sorry but you seem to under the misguided assumption that your preference matters to me - it doesn’t. I have come to my own conclusion regarding the A9 as it fits my workflow. You seem you have difficulty accepting that. I don’t care. I don’t agree with you regarding the Sony A9. Whilst I can get the results I need with an A9 it is not a camera I enjoy using and there are reasons for that. The ergonomics, haptics and build are sub par. A D5 is better IMO for the work it was designed for. There is a reason single digit Canikons are still preferred over the A9 -for the simple reason that the A9 is not any better or more reliable than a DSLR. Even where Sony might have an edge, they simply lack in areas that actually matter. Haptics and reliability. I shoot mirrorless also and I shoot Olympus. I consider my Em1 mark ii far superior to Sony with regards to haptics handling. Like I said if you cannot get results with ANY camera in 2019 it’s not the cameras fault for your sub par results. re: EVFs and fast paced action is not a myth. It’s a myth that an EVF can match an OVF in these situations. Sorry but the human eye can distinguish over 1000fps through and OVF all you need to do is use an EVF in direct comparison with OVF to understand that the 120fps will still show clears signs of motion drag when panning - all EVFs have delay- Adjusting to a sub par EVF is not an option where an OVF gives you 100% capabilities of the human eye. I do not have a problem with you having your own opinion. Everyone has preferences, but you are wrong in translating your preferences to unquestionable objective facts. There is a lot of evidence that, although some might still prefer an OVF, an EVF with no blackout such as in the A9 just offers more. The very marginal disadvantage you mention does not make up for real time exposure information, no blackout, brightness in low light seamless switching from EVF to monitor shooting etc. you just seem to have hard time adapting. Your Oly is a joke compared to the A9. For sport what matters the most is speed and best AF, and in that regard nothing comes close to the A9. Enjoy your better haptics while I get the better pictures. On a different note, ALL sport photographers I know would love to switch to the A9. It just makes no sense for most because they are invested in their systems, which of course are also very good systems, not because they think the A9 is inferior. Bear in mind I am a sport photographer and I shot several million images both with pro Canon bodies and A9. In the process of keeping up with technology, switching to the A9 has been for me the single gear upgrade that has most significantly impacted my work. 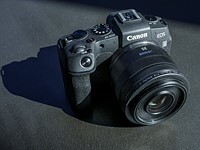 The A9 expands creativity when compared to the 1DX or the D5 at so many different levels it is not even funny. But you would not even know of what I am talking about. "Adjusting to a sub par EVF is not an option where an OVF gives you 100% capabilities of the human eye". Well actually in low light the EVF does BETTER than human eye. I shoot night events and dance performance in dim light all the time. I could not go back to an OVF. Enjoy your A9 but I don’t agree with anything you have said. The fact that you litter a Canon forum for an entry level mirrorless camera with your Sony mantra only enforces my earlier points. Whilst you might have a spec sheet. I have work in National collections. 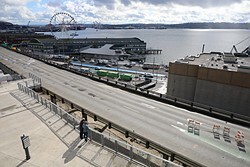 Better photos are not produced with with the ability to have an EVF that doesn’t black out. They are produced by the creative behind the camera. Some of the best sports photography I have seen in recent years was made with a 4x5 Speed Graphic film camera. It destroys anything you have ever produced with your A9. The vast vast majority of sports photography today is produced with single digit Canikons and this continues to be the personal preference for the majority of working professionals. Sorry but this is irrefutable fact. you are a funny guy, you are defending now the 1DX and the D5 arguing that best sport photos are taken with slow 4x5. All a sudden dismissing the relevance of speed and focus acquisition for a sport photographer? That tells really how all over the places you are. "Most Sony users are delusional hacks with an inferiority complex. The Sony A7 series sells well to amateurs that don’t understand, a camera is more than the sum of its parts. Haptics, ergonomics and lens selection are the most important criteria when making a camera choice in 2019. 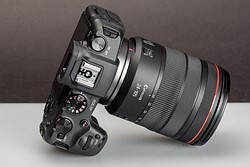 If you have issue getting good results in 2019, sorry but the camera has little to do with your sub par results"
I clearly leave Canon at home and shoot Sony so I can embrace inferiority complex and subpar cameras. I guess I got to tell that to my clients. "The vast vast majority of sports photography today is produced with single digit Canikons and this continues to be the personal preference for the majority of working professionals". That is true, but not for your reasoning, as I have already stated, and if Nikon and Canon do not change their path this will not be the case for very long. If you actually read my comments and weren’t lost of the concept of nuance - you would note that I said some of the best sports photography I have seen was taken with a 4x 5. And yes there is a history of sports photography shot on slow film cameras that destroys anything you will ever produce with your Sony. You would also note that in making a good photograph requires one to have creative facility. Your responses shows that you lack both these qualities. Every time you respond here you continue to project the stance that it is the camera that makes a good photograph. Whilst the camera may aid this, a good photographer will get results regardless of the camera in use. You continue to take the stance that as you have what you perceive to be the “best”camera that this makes you a better photographer. No. This is fallacy. And I have a plethora of historic evidence to prove it. Get over it. "You would also note that in making a good photograph requires one to have creative facility. Your responses shows that you lack both these qualities. Every time you respond here you continue to project the stance that it is the camera that makes a good photograph." You like to read others people comments in your own personal light, and sprinkle trivial facts to give some sense of validation of your subjective assumptions. Isn't it curious that you did not find interesting at all that a professional photographer with an extensive experience with a new technology has a radically different opinion from your own? Why not asking in what way the A9 might have had such a relevant impact in my shooting experience? But that means being humble, and interested in new things that do not necessarily resonate with your own self-important, opinionated views. Funny guy, you are just so easy to read. I bet you also have really only a one-dimensional photography style. If any. You have failed to read my point but I don’t care. I never asked your opinion on the A9. You gave it. 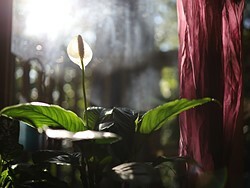 I have used the A9 enough to come to my own conclusions and expectations based on my experience vs many cameras I own . The A9 falls short of these expectations. It’s not a camera I would choose based on the many options available to me. I can get better IQ with far more enjoyable cameras. Your needs or expectations don’t enter the equation, and I honestly don’t care what your preferences are. You are pushing the one dimensional argument. That somehow based on your experience I should come to the same conclusions or agree with you. I don’t. Not on the subject of the A9 or photography in general. I’m an arts based photographer that utilises a variety of cameras that best suit my intentions across varied and diverse range of output. I shoot medium format film and I shoot a high spec Nikon’s or M4/3 depending on what best suits my intended outcome. I told you to enjoy your A9. I don’t. Armandino, why do we care about your A9 again? I had an A9 and it was a good camera but so what? Isn't this the RP topic? 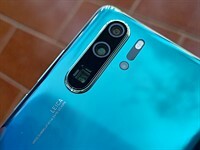 "I have used the A9 enough to come to my own conclusions and expectations"
for once you might want to be specific, in a sea of vaporware: how long ago you used the A9 and how long you used it for, what have you used it for. As long as you make vague, unsupported arguments what you say is irrelevant, I did not fail to read your point, it was irrelevant as presented. since you are really looking for a response: if you read this entire thread you would know that it is not about the RP. It resides here because RP might have been only the trigger. You are not interested? skip it. My message are simply a response to a very opinionated, aggressive and miss-informed comment by kodacolor200, living nostalgically the tech of the past, just like his name. I read it and did not find review anyhow special at all. 1. Those who’ve never seen, held or used it: It has the mark of the beast. 2. Those who’ve used it: It is actually quite nice. I've used it. It's rather nice. Not highly specified, but enjoyable to use. Really needs an AF joystick though, and a more long-lasting battery. That's a trend with most of the critics of any brand: those who criticize the most haven't even used or held the camera, and are going by brand bias and paper specs. And yes, I've been guilty of that as well. But all cameras are so good these days that when you actually use one, you realize how powerful and competent the device really is. All cameras these days are engineering marvels. The same two camps i see for sony. Those who used them like them and those who have never held them don't like them. Why canon or sony pick any brand and dismiss anyone who says anything negative as in camp of never held it. zxaar - Plenty of people here will slam a camera they've never used, especially people in the Sony vs Canon camp, and the M43 vs FF camp. I'll criticise a lot of cameras based on *specifications* or on results of dpr studio comparison charts, and I think it's perfectly reasonable to do so. When it comes to ergonomics I only make criticisms *after* handling a camera and trying it with a couple of lenses, either in-store or with cameras hired, or borrowed from friends. So all of the taken in less than bright daylight straight-out-of-camera jpegs seem to be shot at +1/3 stop ISO settings (ISO 250, 500, 1000, 2000, etc. ), in which Canon cameras essentially expose at the next lowest "full stop" ISO analog amplification and then include instructions to "push" exposure (and noise) 1/3 stop in raw development. This is the same as "exposing to the left" by 1/3 stop. Next time try using full ISO (100, 200, 400, 800, etc.) or -1/3 stop (160, 320, 640, 1250, etc.) ISO settings that exposes to the right 1/3 stop and pulls exposure (and noise) 1/3 stop in raw development. There is no need comparing this cam to other FF cameras. The real competitors are the $1,000 APS-C cameras. The RP is a medium-class car with an V8 engine with only 150HP. DR is only one metric in image quality and just considering the cut-off only really tells you about read noise in the deep shadows. A camera can have better image quality across most of its image, then drop-off badly in the deep shadows, and still produce the same DR number as a camera that offers lower SNR across its whole image but is more consistent in the shadows (hint: that's what happening here). actually HP is a measure of power which is the product of torque by velocity. yes I know and I did not want to start the typical Canon sensor bashing. In fact, I have no problem with their sensors and read-out. IQ at low ISO is fine, it is great at high ISOs and colors OOC are the best. The question is, why is it on the level of the old 5D III ? "DR is only one metric in image quality"
Never thought I'd see THAT line in print from a writer on DPR. For a long time, DR was the be all and end all of camera quality. Now that torch has passed on to 4K video; any camera that doesn't meet adequate 4K standards is called "disappointing"! So true about 4K in CAMERAS! DPR, Judge video crap on video cameras. I'm pretty flippin tired of videography assessments intermingled with photography assessments on STILLS cameras. 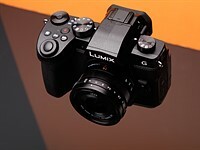 You have probably missed that since introduction of Panasonic mirrorless the video became big for many potential buyers of these cameras. Fast lenses and larger sensors allow for this arty looking shallow depth of field in video which many people desire. And as always, you don't have to read video assessment or even get bothered by it, thus you comment is totally pointless. Wow, i didn't know there was a way to filter out video comments in DPR's reviews! Please tell me how to do it! Thanks for the reminder, I'll try top treatment from now on. Considering this is a forum around Canon RP so it's fun that so many people have an opinion about one thing they have never had in hand and that is more about what "I" have. Just got mine a day ago. So far so good. The smaller design (compared to my 5D3) took about 5 minutes to get used to, the button layout felt very familiar and didn't take long to feel like second nature. The AF with the adapter + EF lenses felt fast, I never thought "there is an adapter there," it felt like the AF on a DSLR. Several reviews online said that the RAW is noisier than competitors, but I think it's only noticeable in pixel-peeping situations. Battery life might be an issue after a full day's shoot, but I personally don't see any problems with swapping batteries after half a day. The biggest downside is that silent shutter is only available in "Scenery" mode, but I find the shutter noise to be very quiet already and shouldn't be an issue in 99% of the situations. Overall nothing major to complain about, this camera works well for a good price. Agree. Have mine for about two weeks now. 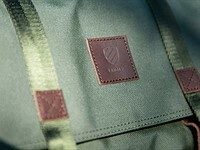 Really enjoy the compact design, the sturdy feeling and the excellent lay out. Already used to work with an evf. The ovf and the bulkiness of my 50D feels clumsy. Pictures beautiful, still love the cam. Use the EF mount lenses now, later add some RF lenses. I understand there are other cam's with other pro's and cons. Reading this forum amuses me: so many opinions, people who never ever touched the cam. Often it's like discussions on how bad a Tesla will do in a motor noise contest, and thus deciding that it's a useless car. Like the Tesla driver cares. The problem is the Sony A7II, better IQ, IBIS, many more lenses for all pockets and needs .... And the lens of the kit is surprisingly good optically, is well built and has a reasonable size. As an owner of a 7RM2, i will say this: GAWD i hate Sony! The RP is still too small, but it feels better in-hand, is way more responsive, has way better AF and light years better menus than a 7M2. In other words, while the RP leaves a lot to be desired, it is SUCH a better camera than a 7M2. @Sir 7 - "As an owner of a 7RM2..."
Take another look at my gallery. You'll find a photo there of some of my gear that i shot for a dork named stevo23 who accused me of not having the gear i mentioned having. You'll find a 7RM2 with a grip. your posts alone prove that you don't own sony… you simply don't know anything about the brand. your immature name-calling there just cements your status as a fake account. fake accounts never have any post history on the brand forums where they claim to own the brand... which is why you have zero post history on any sony forum. Don't you know it's rude to accuse people of lying? And, I mean, I already disproved someone else who accused me of exactly what you just did: not owning a 7RM2. The evidence was right there in your face and you chose to ignore it! That is certainly a common theme among the Sony faithful though: Cognitive Dissonance. you refuse to acknowledge that you have *zero* post history on any sony forum, which says it all. that's why people are calling you out... try to not get upset, and revert to your typical name-calling tho, it just makes you look worse. @milc man. Curious, what Canon gear do you own? This fellow has proven he owns Sony gear. Maybe you just need to pipe down. i think steven has proven his point. who is "steven"? just another fake account? funny to watch brand fanatics trying to defend that disgusting behavior. In your head, IQ = DR. It isn't my friend, DR is only part of it. Forget about the A7 II. It is old. Nice but old. And the kit lens? You mean 28-70mm? Ia have had 3 copies (sold and bought sold and bought) and all were bad. Real bad. Even on A6300 which covers only a portion of what 28-70 covers, 28-70 is bad. Sony absolutely has to update that lens. steven is sir7...and he has the equipment you say he doesnt. aloha. "sir7" doesn't have a real name, it's a fake account. but of course you would know all about that, just like you keep trying to ignore the "sir7" brand bashing out here. Thanks for your support. But as you can see, MILCy's denial is pretty over-the-top. Just let him go, it's cool. Happy shooting! As a previous Sony A7II (shooting with an A7III now) I'd probably opt for the Canon RP. The A7II has a loud shutter, worst high ISO than a D750 from 2014 and no option for a silent shutter. Also the 28-70mm is cheap plastic, and I'd rather adapt Canon EF lenses anyways which are affordable and abundant. Paper specs aside, I think the Canon RP looks to be a hit! the fake "CynthiaDenison" account just got banned today, for name-calling and sony-bashing. the "sir7" account has been reported, for the exact same behavior, as well as attacking leica owners. Seriously? Well sincerely I still think that the 28-75 of the kit of the Sony is good, very good for a kit lens ... 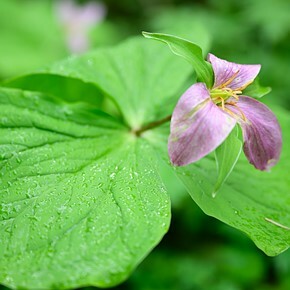 I would not buy it by itself, for the brightness, but I have seen comparisons in which it exceeds the Zeiss F4 in sharpness, and the copy I have at home is very good, luck ?. On IQ I find myself much more resorting to DR than high ISO, of course I would like to have the ISO + DR performance of an A7III or a D850, but between the DR of the A7II and the ISO performance of the RP I would choose the Sony, by my way of photographing. 2) I have used 3 or 4 28-70mm (not 28-75mm, maybe you are confusing that with Tamron?). All these copies had misalignment and were quite bad in sharpness. Even at corners of APS-C (A6000 and A6300). No no, I mean the kit 28-70 f3.5-5.6, I think you've had bad luck, the one I have at home (it's not mine, it's from a relative) I think it's very decent to be a kit lens, look also the DXO graphics that Dpreview itself has https://www.dpreview.com/reviews/lens-compare?lensId=sony_fe_28-70_3p5-5p6&cameraId=sony_a7r&version=0&fl=28&av=4&view=mtf-ca I see it very good for be a kit lens. The same thing happened to me with the Sony E 35 1.8 OSS, it seems to me the worst lens I've ever tested on my Sony A6000, terribly off-center, three tested copies ... The Sony control is terrible on some lenses, the 35mm 1.8 is known for that, but the 28-70 seems to have quite good reviews and opinions, I think you've had very bad luck. Well, I just sold my Olympus OMD E-M5 II and bought an RP - it seems pretty great so far. Clearly, according to some of the commenters here, purchasing an RP makes me either a) stupid or b) the kind of worthless pleb who shops at Walmart (The Horror, The Horror). The RP very much reminds me of my old Canon 300D. Yes, it's somewhat compromised - but I'd rather spend more money on full-frame glass than over-invest in a camera body which will be almost instantly obsolete. All things relative. Coming from 4/3, the RP is an upgrade. Sounds like good thinking to me. I went from an E-M1 II to a Nikon Z6, and really don't regret the change. Lenses are a bit bigger (I was shooting with Olympus PRO glass), but the sensor is fantastic. Warrj, if you ask Sony users, all other brand users are naive illiterate st.pids. 2) If you are planning to use legacy lenses, what makes you desire the RP vs a cheaper used body? Just curious to see what makes people choose the RP vs other cheaper or superior options. For me, coming from a 6D Mark I, the autofocus points, focus accuracy and benefits inherent to mirrorless technology make it justifiable reason to switch. That I have access to both EF and RF lenses seals the deal. The Yugo and the Lada are relatives sharing the same ancestry, both were derived from Fiat, some of the Fiat cars were really good. Now we have the Hyundai/Kia. Wait...maybe a Chinese car on the horizon...No, it's a Tata from India. Not your father's Lada . . .
Lada is actually planning a return to Canada!!! It is now a brand for the Renault / Nissan alliance. We love our Nissan Rogue. I'd give this a looksie!!! I love the one which is called the Lada Bronto. Not Bronco, but Bronto! It looks like the Bronco is coming back next year! Also . . . someone has licensed the old Bronco off of Ford and is going to be producing "new" old Broncos!!! LOL. Yeah. I know someone that is into Ford trucks, and his favourite is the Bronco. Oh wow! The ICON looks and seems awesome! They're putting a Coyote engine in it! I wish they opted to put the Ford 10-speed automatic transmission in it instead of a 4-speed. But really, you gotta get the 5-speed manual anyway. I'm afraid to know the price, but i know I'd love to have one! The 2020 Bronco looks ugly though. It looks shapeless, like cars from 10-15 years ago. I hope it's just the camo decals, but those decals don't do a very good job of hiding anything. That title takes the cake. Let me fix that . . .
"A (price) friendly way to go full-frame." mmm... The camera seems more friendly that its price imo. I am surprised that the EOS M100 seems to have a better RAW image quality than the RP. Or am I shocked? No it doesn't. Only if you underexpose by 4-5 stops and adjust exposures in some software. Otherwise RP sensor is better. Canon knows how to make cameras, but never learned how to make good sensors. at least they make sensors, Sony had to buy a sensors company. Sensors are good enough for over 40% of the global market. Sorry what a stupid comment. Canon was the king of CMOS sensors once. That's because Canon customers buy Canon cameras for the cameras and lens selection, then they make-do (endure) the Canon sensors. 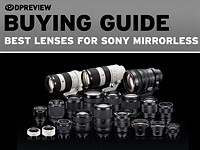 And Sony customer enjoy sensors but they have to suffer with camera usability and the high prices of Sony lenses. @pentaust, not necessarily. Those who love Sony sensors get by just fine with Nikon cameras. Great sensors, coupled with great ergonomics and lens quality. Best of both worlds. What do you want for 1300usd with adapter? 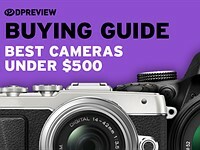 Yet more ppl continue to buy Canon cameras (with Canon sensors inside, yikes) than other brands. So maybe Canon is doing something right, and maybe sensors aren't everything. So long as C sensors are relatively competitive, and the other parts add up, it's not a crippling issue. Would I wish for Canon sensors to have Sony's low light abilities? Of course. But the fact that they don't isn't debilitating. It's that magical Canon color! Lol, not. I never bought into that. They make good, smart bodies. And optically and AF good lenses. Though i do think their current FF mirrorless offerings are huge letdowns. Entry level Fuji X-T100 with crop sensor ($500) beats it in both jpeg, Raw and iso IQ. Enough said! No it doesn't. I am using Xt100 and will sell it soon. Xt100 sensor is better if you underexpose by 4-5 stops and then adjusts exposure in some software. Otherwise RP sensor is bettee. And hell, xt100 is so sluggish to use, AF, even review and delete photos it'll make me mad. @ozturert In what aspect would you say the RP sensor is better? Spider, anything above ISO800 and RP is better and at base ISO you'll not see any difference if you don't lift shadows by 3 or more stops. There are other issues with X-T100 like really slow overall operation, really bad AF (AF-C is quite hopeless and even AF-S isn't reliable even in good light). I really do not enjoy using X-T100 at all. Even entry level DSLRs and some mirrorless cameras are faster and more reliable. Save like 700 more then? hated or love it this thing is selling like hot pie ... get over it ! I’ve stopped considering any new Canon bodies for some time now, and this just reaffirms my thoughts. I’ll wait to get a low priced Sony Ay III or A7RIII when the time is right. I enjoy traveling with my Fuji X-T2, still use my Canon 70D for video, still use Canon 5D MK2 and classic for portraits and weddings. Maybe just grab a used 5DMK4 next year if I continue weddings, but I don’t need to upgrade as both my old 5Ds are still going strong, just have to use generic batteries now for the 5D classic. Yes, 5D classic and its 12MPX still produce lovely IQ. Still great for 4k viewing with a bit of room for cropping too. There is not a single use case for which this camera is not a mediocre or downright bad choice! Add to that a really subpar specs sheet. Your comparison logic is subpar? It’s because you haven’t used this camera and have no idea what you are talking about. @seloo and fans - What does “comparison logic” mean in English? This camera is subpar for each use case according to DPR’s review. Read it. How it got a silver award is the question. 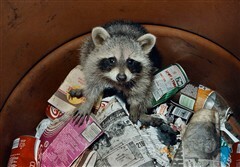 @Dpreview007...You want free philosophy lessons too? The whole package in this price range is not subpar at all. The best feature of this canon for me is the way they have designed the manual focus assist. Absolutely brilliant for using manual focus lenses. Docno, beginners and casual users are not interested in lifting shadows by 5 stops in post but trolls here still bash RP for that. Docno, it is relevant if you look at the comments here. People (trolls) bash RP for things that target users will never need. Docno, plus the OP said ".... for me". That's good for him, what is the problem for you then? OP did not generalize anything, he said what is good for him only. But looking at your other comments on this page, I understand your motive and purpose. Ozturert, don’t go all paranoid on me.... my only purpose is to express my opinion. And it’s just my opinion too. I am 100% manual lens guy who has a canon and sony and when compared to existing canon and sony systems for manual focus aid, the RP/R series has a nice implementation and more useful implementation for manual lens guys. Only magic lantern had even better implementation where the picture can be automated when u get a manual focus confirmation even without hitting or focussing through the eye piece. If magic lantern and build a custom rom for RP where trigger can be switched on the moment the small box(In RP manual focus aid) goes green. Nice camera. Well done Canon. General Motors' Charles Kettering got it right way back in the 1920s. "Research is industrial prospecting. The oil prospectors use every scientific means to find new paying wells. ...Our chief job in research is to keep the customer reasonably dissatisfied with what he has. ...The simplest way to assure sales is to keep changing the product, the market for new things is indefinitely elastic. ...Obsolescence is a factor which says that the new thing I bring you is worth more than the unused value of the old thing." " The key to economic prosperity is the organized creation of dissatisfaction. ...The fact is that people never buy what they need. They buy what they want." Advertising works. Times change, and so does advertising, Today, over 50% of the people consume advertising on their smart-phones. Plus the blogs and forums are overflowing with gurus, influencers and trolls who are on corporate payrolls—can you say advertising by another name ...I thought you could. Very little improvements, cheaply built at horrendous prices. Still the same 24x36, redesigned under different shell and names. Improvement of images over 5 years old gear is maybe 2% to 5%. We have run full circle. Fuji makes some crop medium format, 20% better than 24x36 for image quality, with auto-focus back to stone age, and poor ergonomic,, a system costs the price of a car because the marketing effort is so huge , as if it wasn't possible to make such camera well built, better AF and yet more affordable (it is possible, but who cares, as long as we find customers naive enough to spend their money). Camera companies need to reinvent themselves , else all this is not going anywhere. I'll keep using my "old" equipment and no buy anything because the "old" equipment is as good (and better built) as the very new models. It's a good thing (for Canon) the average RP buyer won't be reading this discussion. Actually, I think the RP makes more sense than the R. Neither is a good camera. But both enable the use of RF lenses. IF one is set on using RF glass, the RP makes more sense as a "throwaway" body than the R does because of its lower price. Canon will soon (1 or 2 years?) make a real RF body and it can then be upgraded to. There is not a single use case for which this camera is a great choice. Yet it got a silver award? Price? Looks like it's a model for anyone who recently discovered photography? The award is for making 'inferior' more affordable. That counts for something. RP is the kind of product tailored for selling on amazon: affordable mass produced for mass selling. Imagine the containers of Canon RP kit delivered to amazon warehouses, shipping in quantities. It's a bit like the kindle of photography, except it's not designed by amazon but by Canon. The RP could be rebranded Amazon and selling among the Amazon basics products, together with AA batteries, towels and socks. Canon seem to compete with their own products, not other manufacturers. Despite the Amazon listings you mentioned, my understanding is that they are still way out in front with sales. So there appears to be no reason to provide Canon users with better value cameras. Even Practical Photography magazine in the UK gave the EOS R a relatively poor review. (I think that is the first time I have seen a non-positive review from that publication). Hopefully Canon do not sell a lot of these. Otherwise why do better? I look at the Nikon Z6 and really wish I went with Nikon from the outset. Now wondering if the cost to switch is worth it, and I suspect other Canon users are in the same situation. Yes, you can still produce fantastic images and video from these tools - but not as easily as with the competition. And as someone invested in the system, that's a bitter pill. In a year or so Canon will come out with a good mirrorless for your RF lenses. Yeah, i don't believe I've EVER seen a DPR rating under the high 70s. The number rating and Award level is meaningless. @tripodcat - Well, sales do matter. Canon does well in the Japanese market. But Japan isn't the whole world. Japan is a nation of only 127 million people. In comparison, as of January 2019 Amazon had 101 million Amazon Prime members in the US alone. And that's only 62% of Amazon Prime customers. So if Amazon were a country, it would have a population as large or larger than the country of Japan. I'm not saying Amazon is the whole world either (although it could very well end up like that, lol). I'm saying that there are changes happening in the market place. The fact that we are even talking about Sony selling so well in the ILC market is a significant change. Competition is good. 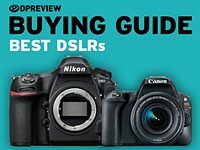 I think it's great that we are no longer stuck in the Canon/Nikon duopoly that existed in the DSLR era. What competition? Canon are not competing and they appear to still be creaming it. RP is a successful model which others will have to follow. Sony, Nikon and Panasonic will just HAVE TO release cheaper bodies. Why is that? Because RP sells very well and will continue to sell good. 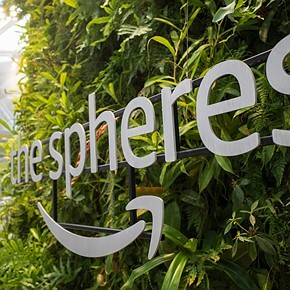 How is it that such a high percentage of discussions here about whether a camera is good or not wind up quickly devolving into Amazon and Japan sales figures? Sales figures have nothing to do with whether a camera is good. It's a great choice for every use case (sans print) because of its price. The reality is that few people, even professional, even get prints made anymore. 20MP resolution is more than enough for every digital display, and works just fine for small prints. Hell, 26MP you can go up to A4 no problem. Cameras have gotten so good that everything has approached parity for most uses cases. In *most* cases you can't tell the difference between a $1,000 crop sensor camera and a $6,000 medium format camera. IQ improvements are so marginal, and for such specialized situations, that we now make multiple version of the same camera with different light sensitivity. Cameras got so good that we said, "We've got too much resolution now… maybe we can find a way to make the camera see in the dark." I agree with what you're saying. With the slight exception about A4. 24MP (4000 x 6000 pixels for simplicity) can make a pixel-for-pixel (dot-for-dot in print) print at 300dpi (photo print resolution) that is 13.333" x 20" in size; MUCH larger than A4. Or even 20" x 30" at 200dpi. Still VERY solid resolution! And for any stat nerds that are gonna argue "that's not real photo resolution, you need 1000dpi!" 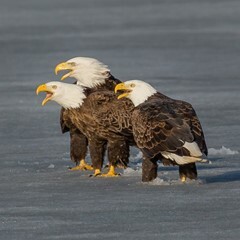 I will say this: i was just viewing photos at a National Geographic photo gallery. Most of those 3-foot-ish x 4-foot-ish photos showed big honking obvious square pixels when you get your face up against them. Totally not noticeable at all when viewing from 5-feet+ away. Haha! That could very well be Amazon's greatest marketing slogan! You get what you pay for...! yes. RP is maximum bang for 1299 bucks. you don't get anything (new) as capable for that price. that's why it will sell well. Yes a camera that will suit the needs of anyone that chooses to buy it. If it doesn’t meet you criteria you have other choices. Not so good: For photographers. If you couldn't produce excellent photos with this cam, a "superior" cam wouldn't help. Neither for Youtubers, video is mediocre. "If you couldn't produce excellent photos with this cam, a "superior" cam wouldn't help"
usual pathetic defensive response. I guess that is valid for my old 20D too, gee I must have been a dumb photographer for keeping upgrading in the past 15 years. If you truly stand by your assertion, then save yourself a load of cash and buy a classic 5D instead of the RP. Yes, of course you can make great photos with this camera and with a 1 / 2.3 sensor whenever you have the option of manual exposure, but we are not discussing that. We are discussing the analysis of a camera that does not seem to be intended for photographers (neither professionals nor enthusiasts), but for other types of more "casual" users, who will not worry so much about the image quality and other poor characteristics of the model. And I do not want to enter into polemics, but I find it quite absurd to have a Full Frame camera, with the consequent extra expense (and weight) in lenses, whose image quality does not surpass that of an APSC camera. armandin, I did shoot a classid 5D and did produce some excellent images with it. But I wore it out. So now I buy what I need, nothing more. Whether or not you were "dumb" for upgrading is up to you. I don't know you that well. Good for photographers who don't lift their shadows by 4-5 stops. Not good for forum birds who talk based on graphs and charts. 2) you are a demanding photographer that needs to be competitive with fast, reliable etc, then you need to buy something more advanced than the RP. In either case the RP is not the first choice, imo. It might work well for some willing to pay a premium for some of their own specific reasons, but I do not see it as best invested money. No way I could read all comments, Regardless IMO this is the downfall of the DSLR. In time it will be what happened to the SLR. Nikon moved to digital and the F6 was pretty much if i recall the only film based camera that was new in production. I have not shot Canon I don't know where they left off in film camera land. Even if this Canon is not great it is the basis for a lot of growth and it establishes a price point for entry level FF mirrorless. I am sure we will see 4-5 or so mirrorless bodies from Nikon and Canon to replace the DSLR. There was a time you could buy a film camera. We will see more native lens for mirrorless The technology is there but all of these manufactures can't give the consumer the best of the best they would have no where to go growth wise so they can keep a constant turn over on cameras. The difference between a mirror vs no-mirror seems incredibly trivial compared to the difference between film and digital. None of these cameras are anything revolutionary. I starting using a camera at the very end of the film era, and going from film to digital was like another universe for me. A complete liberation from the expense per shot limitations need for processing. But for me, using ML vs DSLR, there's never been a single "wow" moment or anything that's made me say, "I've gotta have that." Much better for video is about all I can say for ML. But I prefer smaller sensors for video anyway, so it doesn't affect me for cameras like this. Will manufacturers shift more to ML? Yeah, sure probably, but it's not going to make much difference to me other than poorer battery life. I agree with notpc. Nikon apparently also thinks DSLR is here to stay, at least for sports. There's no getting around the lag from an evf; however good it gets, it is unlikely to be faster than light, which is what we already have with the DSLR. The battery life as well as viewfinder lag are fundamental flaws to the mirrorless concept that in my opinion -and for my photography and enjoyment- are not overcome by the better lenses, compactness and video advantages. Never say never, When digital was new the resulting images looked terrible. Film looked way better. Nikon and Canon I am sure said they will never do mirrorless. Fuji X said never IBIS, people say I am not buying a computer or TV thinking as Panasonic and Sony as Television makers not camera makers (lack of a better way to say it) Maybe the DSLR stays but WHY is Nikon as an example out with a Z6 and Z7 pretty much the same cost as the D750/D850, Did we ever think Panasonic would go full frame? I never thought that would ever happen. Umm... thanks for the recap? If you have time, I'll fully describe the downfall of typewriters. You won't believe the scarcity of carbon paper nowadays. @notpc - "The difference between a mirror vs no-mirror seems incredibly trivial compared to the difference between film and digital. None of these cameras are anything revolutionary." It doesn't have to be "revolutionary." It just has to be better. And for a new generation of users who have grown up in the digital age, the ability to have face/eye AF tracking, real-time exposure preview, silent shooting, full-viewfinder AF point coverage, etc. is definitely better. Gone are the days of having focus points only in the center of the frame, and having to twiddle with a joystick to toggle through a limited number of AF points, while still often having to do focus-lock-recompose due to the limite coverage area of these focus points. @T3 you make a good point. 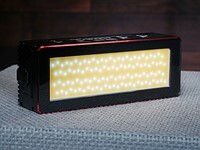 For me personally, I think it will be a long time before an evf looks good enough. It would have to be an HDR display for starters, with extremely high res, and unnoticeable lag for normal situations, whilst also not being too poor battery life. We're not there yet. When batteries are ten times more efficient, I suspect mirrorless will be undeniably the best. But that could be another twenty to fifty years. As with many technologies right now, we are constrained by the batteries. @Goodmeme - I really don't understand this obsession some people have with the viewfinder looking pretty enough for them, lol. Firstly, I don't think OVFs look all that great to begin with. You're looking at a grainy, etched piece of plastic called a focusing screen. And some OVFs are quite poor. Secondly, the viewfinder is a tool. And I think EVFs function as a far better tool than OVFs, because of all the things that an EVF can do which an OVF can't do. 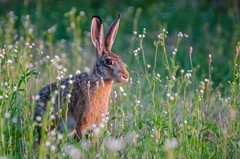 And the other thing about OVFs is that they are entirely dependent upon the ambient light coming through the lens, so that means that depending on your shooting conditions or the speed of your lens, the OVF can get quite dim. Slower lens = darker OVF. Dim conditions = darker OVF. All in all, OVFs were great for their time. But now when I go back to using my DSLR, I am dismayed by how primitive and lacking in capabilities the OVF is. 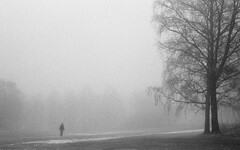 @Goodmeme - I also like using my EVF in black-and-white mode, which helps me to visualize the image more abstractly. I find that this has really helped my compositions. It helps me to see lines, patterns, shapes, and object arrangements more effectively. I like this feature so much and find it so valuable that I would never buy another camera that didn't have this feature. I love seeing the world in black-and-white through the viewfinder. I can't do black-and-white mode with an OVF. Of course, this is a personal preference, but I never even considered this viewing mode to be a possibility when I was using an OVF. I love it. @Goodmeme - "There's no getting around the lag from an evf; however good it gets, it is unlikely to be faster than light, which is what we already have with the DSLR." The problem with DSLRs is that they have mirror lag. With a DSLR, you never capture the exact moment you see in the OVF because the only way the OVF view is possible is because the mirror is down. The mirror has to flip up in order for the camera to take a photo. Don't you understand that it's commercial? 60ms + 60ms = 120ms = ~1/8sec. Given that math, even with shutter speed of 0 and no lag at all, mirrored cameras could not exceed 8fps. Yet the D5 does 12fps in full-resolution RAW, and the 1DX2 does 14fps in full-resolution RAW. While the mirrorless a9 does 9fps at full-resolution RAW. Battery life is not a question of technology, it’is A question of bad will : in India where some,places are left without any electricity , engineers produce bAtteries holding for minimum two weeks. So if they can achieve it, why not Canonikon ? You're incorrect here. Sony A9 does 20 FPS without blackouts. And sports-oriented cropped cameras do even more, especially with resolution reduction. It's just a matter of electronics advancement. With mechanical mirror actuation there's always a physical limitation, as even in the greatest pro camera it cannot flip instantly (unless it's fixed semi-transparent, like in EOS 1N, which was necessary to achieve 15 fps with the tech level of 90s). I beg forget the EVF lag. Very soon the cameras will start shooting at the moment you're putting it to your eye (or probably after half-pressing the shutter button). In this manner you'll be able to capture the moments which happened right before you press the shutter button. Therefore the negative EVF lag will be achieved. Also don't worship the OVFs, as they have a lot of their own limitations and problems due to simple physics. Especially in entry-level cameras. Interesting comments, but really the human mind and fingers have a delayed response - well mine do anyway - that are way more significant than mirror lag. I'm not a physicist but I do believe that light is really, really fast (approx 300,000 km/s), and that it is the same speed as what I would see without the camera. Since with or without the camera the light must still reach my eye, and the distance to travel via the slr mirror is negligible. The mirror lag is also negligible for any decent body. The only significant delay is me. I'm not wrong. I said the a9 gets 9fps in full-resolution RAW. And that's exactly its max capability. 20fps is in compressed RAW. I'm not gonna debate that compared RAW is adequate for sports. I agree. But that's not the topic at hand. That topic is DSLR lag. One thing DSLRs never get bagged on about is lag. And that's because the moment you press that button, the shot is taken. Period. What's laggy is when AF doesn't instantly lock. WORLDS worse when AF hunts; and that's a mirrorless trait, not a DSLR trait. Not to mention startup times where DSLRs kill mirrorless, and true shutter release response times where DSLRs still lead. Mirrorless fans are picking the wrong fight with DSLRs when they walk into "Lag Alley". 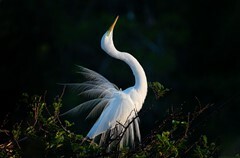 Talk about quiet shutters and focus-peaking and IBIS; stuff where you have a point. But not lag, and not AF. And don't even DREAM of comparing ergonomics! "a camera with this much iq is overkill for 99 percent of shooters"
I agree 100%. But I'd still feel cheated by that sensor's dynamic range. The fact is my old 5D classic image quality is also overkill for 99% of shooters, assuming they're shooting raw. So if someone is buying new, they ought to be getting a competitive sensor, or they need a newer model like this for jpeg processing and make-it-easy features. This camera reminds me about EOS 300D in some aspects. That was my first "serious" camera, and despite its artificial software limitations it was a huge step upwards from any contemporary P&S. But EOS RP feels a bit half-baked to me. Simply put, there's no kit zoom at all. Seriously, releasing an entry-level camera without a kit zoom is basically a crime. Imagine a situation when EOS 300D wasn't available with kit lens, and a buyer shall purchase the 24-85/3.5-4.5 for the half cost of the body, or even 24-70/2.8L. In such case it would never be as popular as it was. Another question is whether the beginner really needs the legacy FF sensor, while there're cutting edge APS-C sensors available at comparable cost. Upgrading from FF Canon model? As a former user of EOS 6D, I would prefer sticking with current camera, other than replacing it to EOS RP with its battery life. Coming from EF-S, EF-M or P&S? There's too much competition. So the point of EOS RP looks a bit clouded to me. hu, is this argument 'no cheap kit zoom lens' a real argument ? seriously ? Wait for a few month and you'll get a R-mount cheap zoom lens for this serious but inexpensive FX MILC camera. Funny how a new system should already sports a larger set of lenses than a 30 years old mount lens catalog directly at release. GonOS: Yes, his is a very real and valid argument. No one said anything about the new cam needing "a larger set of lenses than a 30 years old mount lens catalog," yet you made that up to have something to criticize. The argument was that the camera should have a kit lens. You know, ONE of them, like in the example that was given to you about the 300D. There's no kit zoom in known Canon RF roadmap. You are perfectly right : this is canon inconsistency and no one understands why they have released first high end heavy and expensive lenses instead of releasing basic lenses : 24-70 or SMALL 24-105, 35 f1,8, 28 f2,8 and 85 f1,8 . Nikon has a much cleverer and logical approach. To show off: "because we can". Create positive buzz. Impress reviewers and youtubers. But... The 800-dollar Tamron 28-75/2.8 has defeated the Canon RF masterpiece as the best zoom lens of the year (both by Dpreview editors and readers). Also Sony 24/1.4 and Sigma 56/1.4 have prevailed over RF 50/1.2. I think this is not a 300D market anymore. Most people use phones. You have to be dedicated to want a camera anymore. if you are a new to photography, and get a Canon EOS R MILC, why is it a shame to buy a cheap Canon EF mount entry level mount zoom ? Did suddendly Canon not have entry level lenses for the beginers ? Then why on Earth creating and purchasing ANY glass for RF mount, while everyone can happily use EF lenses via very convenient adapter? Also slow EF standard zooms are so-so in terms of optical performance, especially the older ones, from film era. too difficult to wait for that native but so desired cheap kit zoom lens then ? Do you realise I know almost more Canon MILC jumpers looking for serious zoom lenses than I am able to encounter newcomers totally puzzled by those not cheap enough Canon/Nikon FX MILC bodies ? Interested in Canon FX MILC offering but unable to buy a cheap zoom lens ? get something else if it is so urgent for you. If you cannot use another brand, why is it the case for you ? 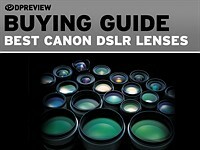 already owning FX Canon lenses ? why it is then so a massive problem not having a native cheap zoom lens ? does the native adapter not work for your already excellent zoom lens, even it is not that cheapo kit zoom lens ? So, if you don't have any realistic attachement to Canon, why cry for a kit zoom lens if it is actually not available ? SONY is not expensive enough for you brains and pockets ? Wow, that's a lot of painful twisted excuse-making. It would have been so much more honest and easy just to say, "yeah, obviously Canon should have made a good quality affordable zoom for this camera." Seriously, you all guys are never satisfied by anything. Whatever is done is never done the right way that is working in your own brain. And funniest part is that you are all convinced you know better than those manufacturers what is good for them. And the best part is that 99% of all whiners like you will NEVER BUY that thing ever. So please, why your ego have to spill their lame opinions here and there ? trying to make more click ? like those unboxers guys that are praised like gods, aka youtubers ? @Gon0S Just looking at where you put time and emotion into the post, it seems your main purpose here is trashing anyone who dares to question Lord God King Camera Manufacturer that can do no wrong. As for "you all guys are never satisfied by anything," I think people have made clear that a good affordable kit zoom, would alleviate the criticism they've made. Not a "lame" zoom as you seem to think is the only option. It obviously isn't going to be a constant f/2.8, but a f/3.5-4.5 28-70mm model that's very sharp stopped down a little would be affordable and perfect for a range of situations. DPReview says exactly the same: «What we're _really_ waiting for is a native-mount kit zoom of some sort that doesn't break the bank, and won't break your back». I don't own any Canon lens nor bodies. So frankly, I don't care what the "God" CANON is doing. I only observe a lot of frustrated guys crying for goods they will never buy anyway, just for the sake to have anything to write in order to downplay a new device. 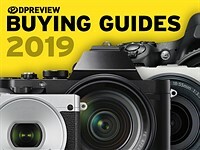 Look at Nikon Z system, it trails a tons of the same 'heavy brained zombies' asking for lenses, accessories or features that are not available now whereas it is well known they will arrive in a few months or years from now. Of course, you'll have to wait for them. And this is the gigantic culprit : having to wait for a "needed" thing, but loudly cry for it. if you are seeking and needing absolutly a specific lens NOW, why the heck crying on a new system that does not have THE thing you need ? It is now too difficult to get that SONY MILC camera that have everything you need ? Or you are really thinking thoses dSLR cannot do the job whereas it sports the lenses you urgently need ? All those wishlists praised as the ultimate failure of any system is annoying as hell. Now you have Canikon plaing in the FX MILC playground, but it is still not enough. It is from this POV that you are all wrong. Too much brain damage to realise Nikon nor Canon nor SONY can release THE PERFECT system from day one, with all the bell and whistles working for everyone ? So, there is no kit zoom lens ? Obviously not, you have to pick another R mount lens or use adapted kit zoom lens. if you criteria is getting smaller and cheaper but efficient kitt zoom lens, obviously you are looking at the wrong choice for the moment with Canon MILC, don't you ? So pass on ! oh, you are talking of that fast shrinking market that will disapear in near doomed future ? If you mean 1300 usd is cheap, I disagree because that amount of money is not cheap. Cheap is under 1000 usd . that is cheap. No. Cheap is a Nikon D3xxx, with an optically-good kit lens, for about $500ish new. 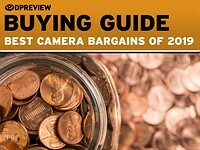 Don't allow yourself to be deluded about camera parts pricing. FF sensors don't cost much more, if any, than crop sensors. ALL FF cameras are cash cows for their makers. Cheap is a used 5d classic with a couple of primes, and it can outperform 90% of professional photographers if you know what you're doing. Newer cameras just don't add that much value.